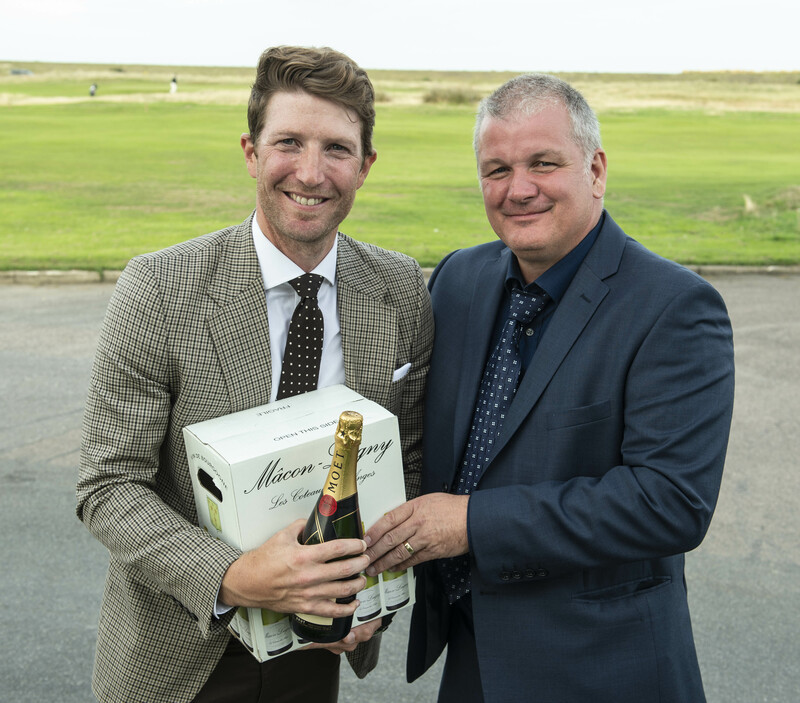 It was by the narrowest possible margin that Nick Stevens won the main trophy of the day at the Royal Cinque Ports fixture. On the second day of the “Double Header” weekend with North Foreland, the final result for the main trophy, The Northcliffe Cup, had to be settled on countback over the last few holes. Both Nick and David Crump had scored 34pts on the tough and impressive links course, but it was the Society’s lowest handicap player who came home the winner and, being a single figure handicapper, was cut one shot for his win to 2-handicap. David was also cut one shot for coming second and will now play off 17. One point behind in third with 33 pts was Keith Cottington and one further point behind were Clive Heard and Kerrel Wills with Clive taking fourth place on countback. 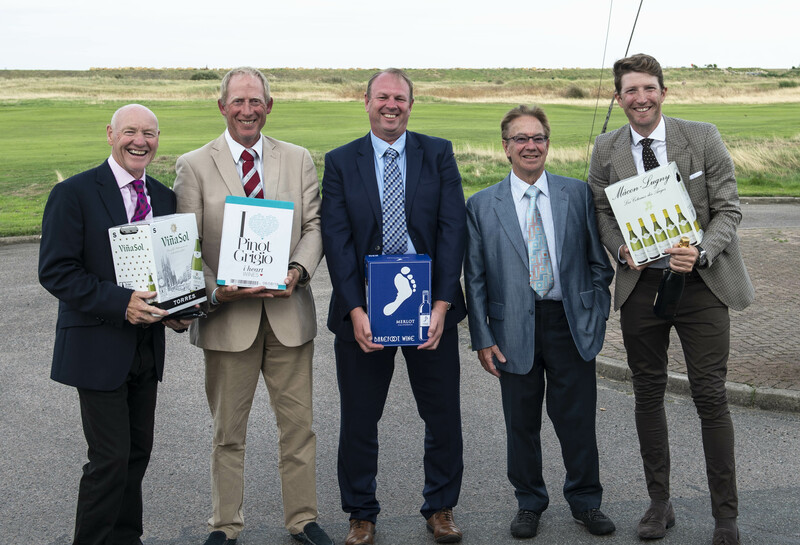 Royal Cinque Ports in Deal, just a short drive from the North Foreland Golf Club in Broadstairs, is one of the best links courses in the country and those that stayed overnight having played on the Sunday were in jubilant mood after their previous day’s win in the “Double Header”. After a fairly gentle first hole on the Deal course, the undulating fairways, amazing greens hidden among massive grass covered sand dunes and bunkers the likes of which are unique for this links course, proved to be a real challenge, even though the weather was tranquil and the sun was shining. “This is the first time that I have played this course and what a great course it is. It is a real golfing treat and we are all so lucky to have had the chance to play it. “To come here for the first time and actually manage to win has made my day very special and something I will remember for a very long time. It’s not every day you get the chance to play such a quality course as this” said Nick, vice-Captain of the Society as he received the Trophy from this year’s Captain Lee Terry. Not only did Nick win the main Trophy, he won the champagne for winning “Nearest the Pin” on the Par 3 fourth hole. There was £175 invested in the fund raising “Back the Winner” competition with Lisa Heyw00d, Roland Agambar and two guest winning £30 each for picking out Nick as their selection, with £55 going to the Society funds. Only one player, Clive Heard, managed to score a “2” which won him £30 with £28 going to the Society. 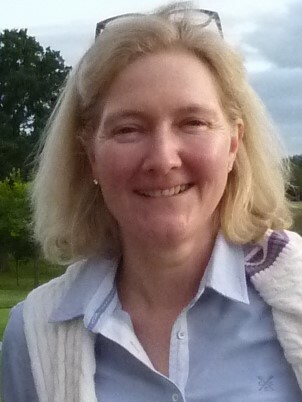 Former Society Chairman, Lisa Heywood, who was attempting a hat-trick of successive Society wins at Royal Cinque Ports, having won at The Berkshire in July and then Northwood in August, was unable to set a Society record of three consecutive wins. Handicap Alert: Lisa has since continued her amazing run of form and has been cut from 14 to 13 handicap by her Club after a further good score on her home course. This means Lisa has been cut five shots in 3-months – an amazing run of good scoring so many congratulations to Lisa.